PRA Lab works on the development of next generation pattern recognition systems for real applications such as biometric authentication, text categorization, and intrusion detection in computer networks. 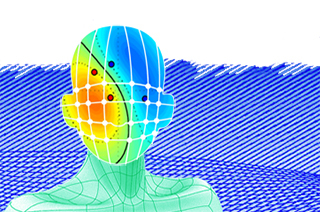 PRA mission is to address fundamental issues for the development of future pattern recognition systems, in the context of real applications. Many biometric recognition systems require using a small set of reference templates per client to save computational resources during client verification. 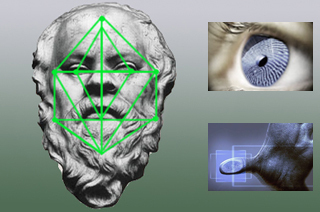 PRA Lab's approach, Super-sparse Biometric Recognition, is capable of outperforming state-of-the-art methods both in terms of recognition accuracy and number of required reference templates, by jointly learning an optimal combination of matching scores and the corresponding subset of templates. We use Machine learning and Pattern recognition techniques in Multimedia Classification and Retrieval, field that includes several tasks (classification, filtering, retrieval, text extraction and recognition) related to content-based management and processing of several kinds of digital documents (books, journals images, web pages, e-mails). 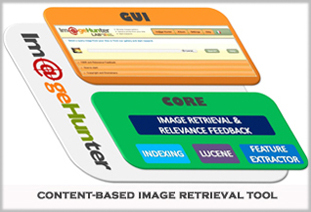 Our activities focuses on Classification of multi-label data and Content-based image retrieval. 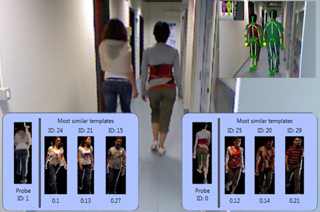 Another important research area is Video Surveillance and Ambient Intelligence: PRA Lab works on Re-identification systems (on-line tracking of individuals over different, non-overlapping cameras, and off-line retrieval of the video sequences containing an individual of interest) and on Appearance-based people search (it consists of retrieving images of individuals that match a textual query describing the clothing appearance). PRA Lab has 20 years experience on the development of next-generation Pattern Recognition systems. The Lab Director is Prof. Fabio Roli, IEEE and IAPR fellow. The Lab is made up of more than 30 people, including faculty members, post-doc researchers, PhD students and lab fellows. Research activities are carried out in the framework of regional, national, and european projects funded by public as well as private initiatives. Read more about our researchers. "There is nothing more practical than a good theory". 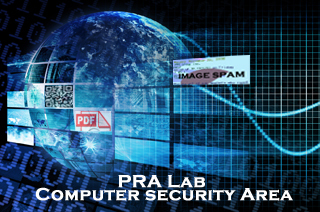 Pra Lab develops many tools for computer security. 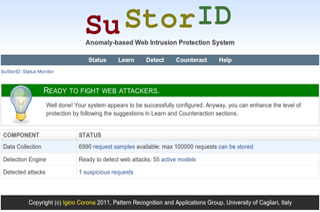 SuStorID is an advanced Intrusion Detection System (IDS) for web services, based on machine learning. It demonstrates a number of interesting features, that can be readily exploited to detect and act against web attacks: Autonomous Learning - Anomaly-based Approach - Multi-model Architecture - Real-time Counteractions - Easy integration with modsecurity - Inspection of Encrypted traffic - User-friendly Interface. Our research is focused on the most recent Computer Security trends in order to develop “Secure systems for security applications”. The Lab developed solutions for Web Applications Security, Network Security, Botnet Detection, Malware detection and Malicious Document Classification, Spam filtering, Mobile security. Since 2012, the Lab also organizes the Summer School on Computer Security and Privacy "Building Trust in the Information Age". Pra Lab works on Biometric Security creating personal identification and authentication systems, face and fingerprint recognition solutions designed to be resilient against spoofing attacks. The Lab organizes, together with the Clarkson Univeristy, the “Fingerprint Liveness Detection Competition”. PRA Lab is also among the partners of the “Tabula Rasa” project (Trusted Biometrics under spoofing attacks). Research at PRA Lab aims to develop secure-by-design systems, natively resilient against the attempts of evasion made by adversaries. 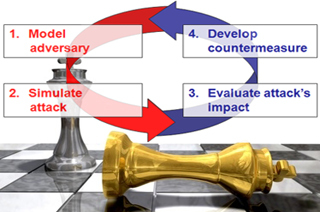 The Lab activities focused on the “Adversarial Learning” area aim to study how the learning algorithms that empower our systems can be made more robust against these attempts by proactively simulating an arms race with the adversary to meet more strict security requirements. Fake fingerprints and liveness detection: Gian Luca Marcialis explains the most advanced systems to evaluate the liveness of fake fingerprints within authentication systems based on biometrics (available in Italian only). Phishing and Social Engineering: a short video shows the DOGANA solutions. This publication, authored by M. Jagielski, Oprea, A., Biggio, B., Liu, C., Nita-Rotaru, C., and Li, B., has been accepted by the prestigious conference 39th IEEE Symposium on Security and Privacy, San Francisco, California, may 21-23 2018.